The best time to travel in the Philippines is from February to May only. After these months, you might encounter flight or ship delay/cancellation, or be stranded at the port or airport due to a typhoon or bad weather. Going to the beach is not an option. There will be no blue sky, a lot of clouds and rain. Either you go to Chico River in Kalinga, Cagayan De Oro or Davao. 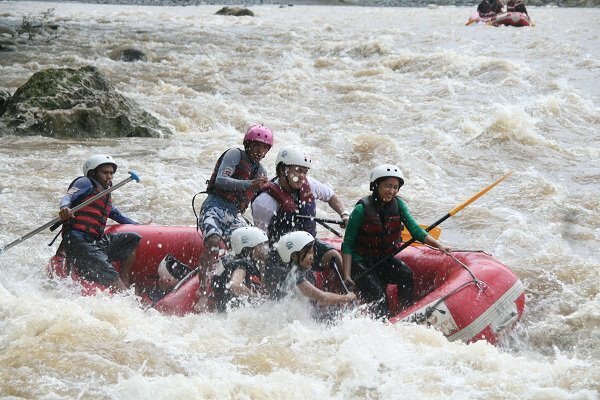 Rain is number one reason why you will love white river rafting. The rapids will be a lot stronger and there will be a lot of adrenalin rush and thrills along the adventure. Spelunking/Caving is becoming popular in the Philippines. 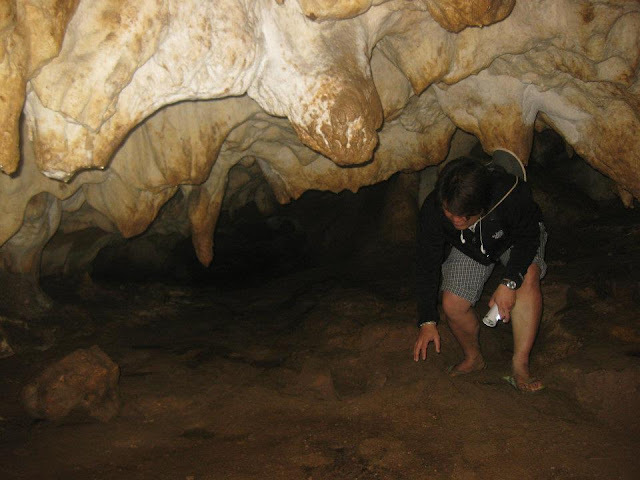 For those living in Luzon, you should not miss seeing the caves in Sagada, Quirino and Cagayan. For those living in Visayas, the caves in Negros Oriental. While for those living in Mindanao, there also caves which you can visit. Have you experienced the rapids going to Pagsanjan Falls, Laguna or Bamboo rafting at Villa Escudero, Quezon? If not, maybe it is time that you should do so. Rain is not a problem in going to the river or falls. 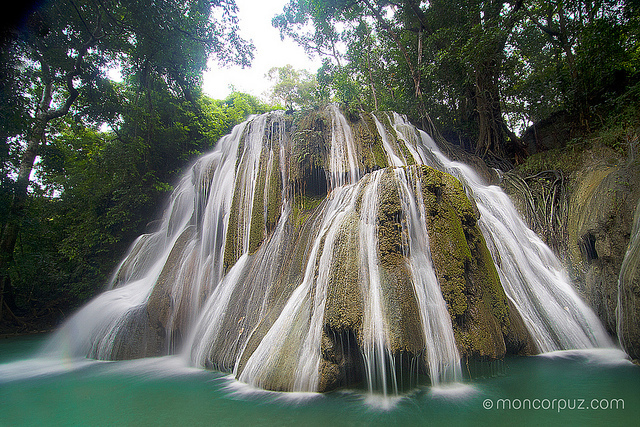 In fact, waterfalls are best seen during rainy season when the water peak or pouring is at the highest! Enjoy the Philippines While it is Raining! Whale watching is one of the best ecotourism activities one can enjoy in the Philippines. 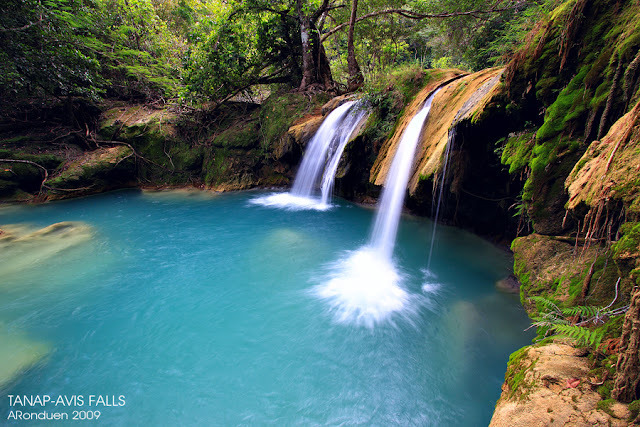 It is best enjoyed only in two places in the Philippines. Either you go to Donsol, Sorosogon or Oslob, Cebu. There have been sightings of the whale sharks in Pangasinan, Zambales and Quezon but these are not frequent sightings. Insofar as Donsol is concerned, the best time to do whale watching is from February to April only. After April, whale shark sightings become less and less frequent. It may happen for one week there will be no sightings or worst there will only be one whale shark present. But during March and April, hundreds of whale sharks appear. My guide told me that as early as November, initial sightings of whale sharks appear. But the best time to see them is still March. First you have to go to either Legazpi or Daraga, Albay. The best way is to board a plane to Legazpi. Flight time is only less than an hour. By land, travel time is 9-10 hours. From Legazpi or Daraga, Albay, either take a jeepney or van ride to Donsol/Pilar, Sorsogon (1.5 - 2 hours). 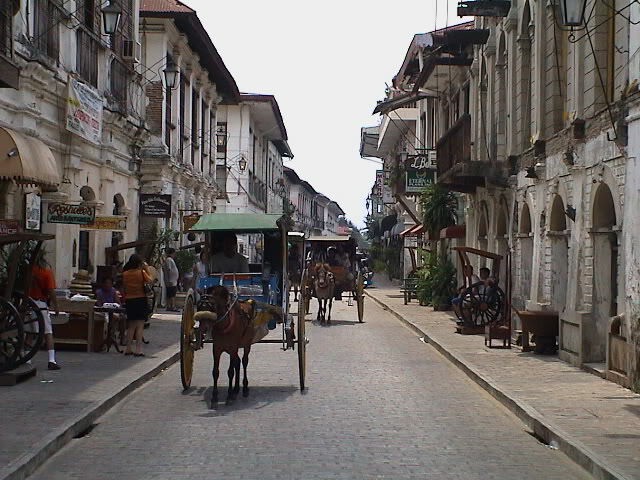 Pilar is the town before Donsol. Should you take the Pilar ride, you need to board a tricycle or another jeepney ride to Donsol. Once you are in Donsol, a tricycle ride (8-12 minutes) to the Donsol Tourist Center. From Matnog or Bulusan, Sorsogon, jeepney ride to Legazpi and alight at the crossing of the road going to Pilar. From that spot, ride another jeepney to Donsol and then a tricycle ride to the Donsol Tourist Center. You will love the road going to Donsol from the crossing. There will be a lot of twist and turns along the way. Once you reach the town of Donsol, it is a must that you should go and register to the Donsol Tourist Center. The center will be the one to arrange for your boat ride for the whale watching. Other than whale watching, you can enjoy the beach, engage in firefly watching or go to the Grotto. And another option is the Amor Beach Resort. Before the actual whale watching, there will be a preliminary orientation about the activity and make sure you listen carefully to the guidelines. Enjoy your whale watching in Donsol! The town of Sta. Maria has three things to boast! The Sta. Maria Church is one of the 4 Baroque churches included in the UNESCO World Heritage Site. The other 3 are the Paoay church, Miag-ao church and the San Agustin Church in Intramuros. 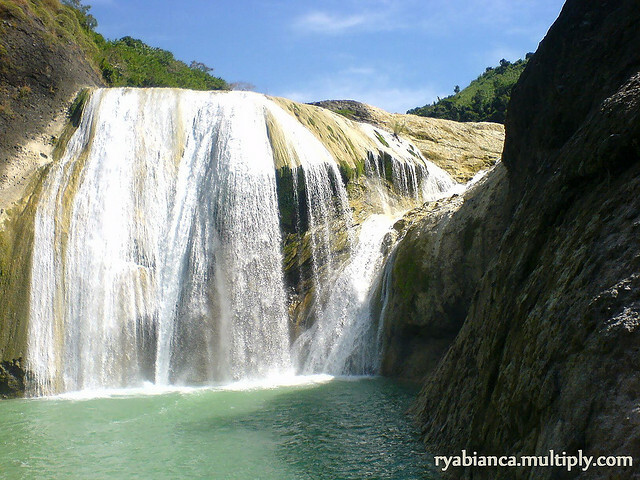 The second thing to be proud of is the Pinsal Falls! Ride a bus from Manila going either to Laoag, Vigan or Abra. If traveling to Laoag or Vigan, the two best carriers are Partas and Farinas. Ilocos has always been close to my heart. It was year 2006 when I started my travel in the Philippines and I toured in Ilocos Norte and Ilocos Sur courtesy of the family of my bestfriend Agatha Mauricio (or simply Mau). The free tour opened my eyes to a wider perspective of domestic travel and the perks of traveling. And from then on, traveling has been part of my life. From Palaui Island, I traveled to Ilocos Norte. Part of my itinerary was to go to Burgos, Ilocos Norte. I missed the Kapurpurawan Rock Formation when I went to Ilocos year 2012. And so I had to go back to Ilocos Norte. From Sta. Ana Cagayan to Burgos, Ilocos Norte, travel time is six hours. First, I took the van to Magapit (P100.00 / 1.5 hours), followed by the GMW bus to Laoag/Vigan for 4.5 hours (P285.00). Going to Burgos, there are two tourist spots that you should not miss seeing, namely the Bangui Windmills/windfarm and Pagudpud (specifically, Hannah's Beach Resort). These two are the best tourist spots along the way to Burgos. Reaching the town of Burgos, I hired a tricycle for my 2 hour tour of Burgos. I hired the tricycle for P300.00 for two tourist destinations. After the meeting of the minds, we went to the first destination. I took some pictures and videos and after 30 minutes, we went to the last destination. From the rock formation to the lighthouse, travel time is 15 minutes. From the town, 20 minutes. It was first lit March 30, 1892.During the Spanish colonial period, it served as beacon to the galleon ships passing Cape Bojeador. Nowadays, it still continues its function but for international vessels plying the route. The height of the lighthouse is 65 feet. And one of the best things about the lighthouse is that it faces the sunset! But apart from the the two prominent landmarks, there are other two tourist spots. as against Bangui's 26 windmills. And Burgos even has its own fish sanctuary. It's Really More Fun in Burgos! Ecotourism has various activities such as scuba diving, trekking, spelunking, whale watching and birdwatching. And birdwatching is one of my favorite activities! Last April 2013, I went to Olango Island in Cebu, the premier spot for bird watching. I also went a long time ago in Paranaque, Metro Manila. These are the two bird watching sites in the Philippines. And last May 2013, I went to Candaba, Pampanga, another site famous for birdwatching. From Manila, go to Dau, Pampanga (1.5 - 2 hours). From Dau, ride a bus en route to Olongapo (P40.00 / 15 minute ride) and alight at Paskuhan Village in San Fernando. From that spot, ride a jeep to SM Pampanga (P8.00 / 5-7 minute ride only). From SM Pampanga, jeepney ride to Arayat and alight at Sta. Ana (near Jollibee). From that spot, tricycle ride to Candaba (P60.00 / 7 kilometers). Then, charter/rent a tricycle to the bird sanctuary (P200 - 300 / 30 minute ride). But before going to the bird sanctuary, you will not miss seeing Mt. Arayat. After 30 minutes, we reached the bird sanctuary. It was 5:45 am and I stayed for 2 hours at the the sanctuary. Good thing I brought my own binoculars! Birdwatching requires a lot of patience and waiting. And I have a little of the two but nonetheless, I still enjoy birdwatching. It's More Fun in Pampanga! 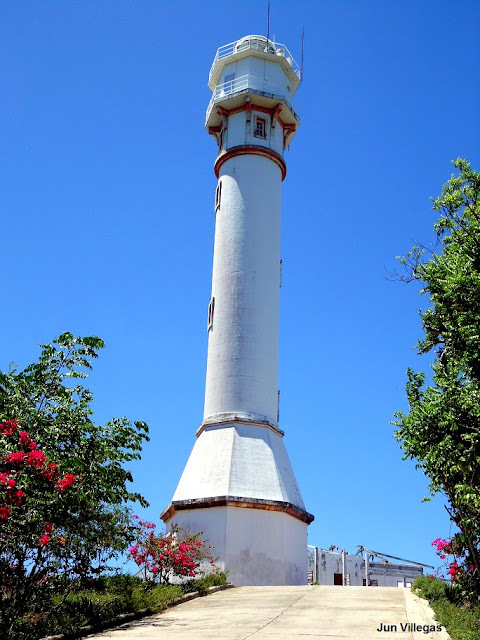 There are modern lighthouses in Batangas. You can see these modern lighthouses either in Anilao, Batangas City or in other parts of Batangas. But the two famous lighthouses which date back from the Spanish colonial period are Cape de Santiago Lighthouse in Calatagan and Malabrigo Lighthouse in Lobo. Last June 4, 2013, I went to Malabrigo Lighthouse. Ride a bus to Batangas City (P175.00) and from Batangas City, jeepney ride to Lobo, Batangas. and lastly, a tricycle ride (P60.00) to Barangay Malabriga. Built in 1896, during the Spanish colonial period, the lighthouse served as the beacon for the vessels plying the Verde Island Passage. While you are in Malabrigo, Lobo, Batangas, you can also have a sidetrip to its beach. It's More Fun in Lobo, Batangas! Bolinao, Pangasinan is rising as the next tourism spot in the North. It has a white sand beach, a lighthouse, caves, falls, and breathtaking scenery. Join me as I explore in Bolinao, Pangasinan! Undoubtedtly, the number one tourist spot in Bolinao is Cape Bolinao Lighthouse. From Dagupan, I boarded a bus en route to Bolinao. Travel time is 2.5 hours. Only mini-buses service the route (either Bolinao Express or Mhel-Ben). I hired Mr. Ryan Teodoro (0939-134-0913) inclusive of side trips to Cindy's Cave, Enchanted Cave and Patar Beach. He is very accommodating and courteous. Travel time from the town to the lighthouse is less than an hour. The next stop after the lighthouse - Patar white sand beach! Patar Beach is the best spot white sand beach in Pangasinan! But the best cave is the Enchanted Cave. It is actually a resort but the main attraction is swimming pool inside the cave. It's Really More Fun in Bolinao! Let's Explore Ticao Island, Masbate!